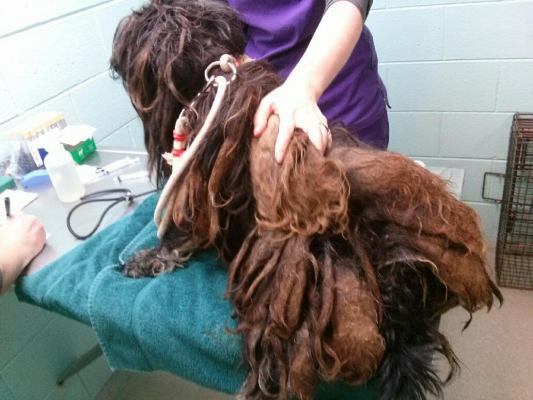 HAWS, the Humane Animal Welfare Society of Waukesha County, has taken in 23 dogs from a neighboring county when the Jefferson County Humane Society requested HAWS’ take control of a dog rescue situation. The dogs arrived at HAWS terribly matted, and in need of spay or neuter surgery, vaccinations and other medical treatment. 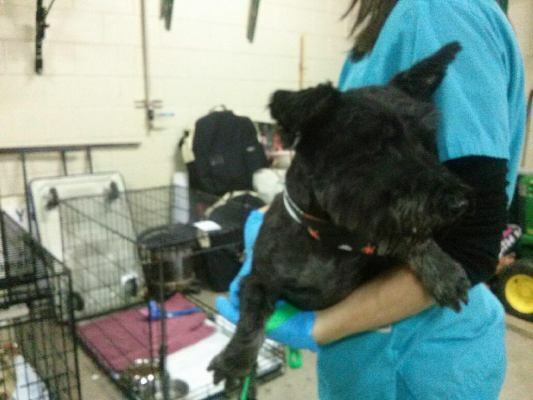 Breeds included Cairn Terrier and Schnauzer mixes, plus 2 lab mix puppies. 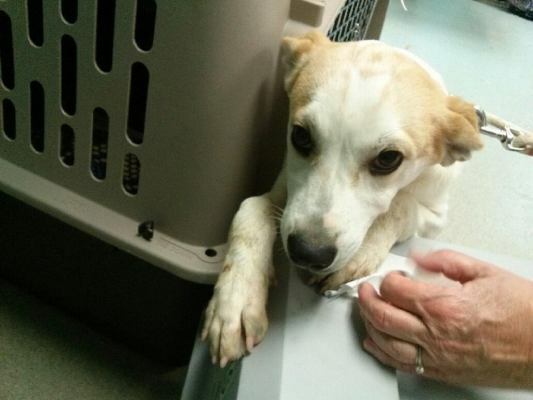 Several dogs have been transferred to foster homes – including a new mother and her puppies. Many are now available for adoption at HAWS, 701 Northview Road. For information on the available dogs, prospective homes are asked to call 262-542-8851 or visit during shelter viewing hours. HAWS is open for adoptions 7 days a week: Monday – Friday from 1:00-6:00pm, Saturday from 11:00am-4:00pm and Sunday from 12:00-4:00pm. A special thank you from HAWS to the groomers at Paws for a Moment, Petlicious Dog Bakery & Pet Spa and Styl’n Companions Pet Spa for their volunteer efforts! HAWS, a non-profit organization established in 1965, assists over 6,000 animals each year and welcomes more than 31,000 human visitors to our shelter annually. As an open admissions and full service shelter, HAWS assures sanctuary for animals in need while offering educational programs and services to promote responsible pet ownership and prevent animal abuse. 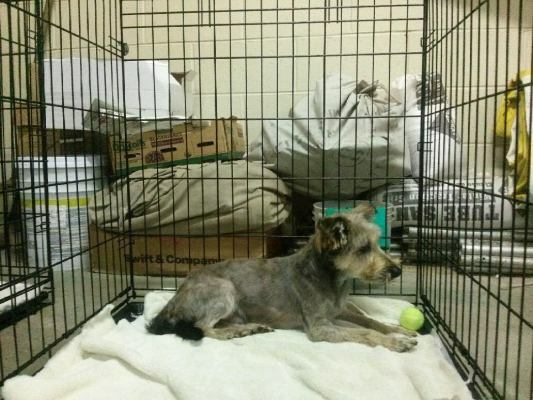 The shelter is located at 701 Northview Road in Waukesha, Wisconsin. For more information call (262) 542-8851 or log onto our website at hawspets.org. Friend us on Facebook at “Humane Animal Welfare Society” and follow our Tweets at “HAWS_Waukesha.” HAWS: Building a Society that’s Humane. MADACC Announces an EMPTY THE SHELTER Adoption Event October 4th and 5th! All Adoption Fees Waived for All Available Dogs and Cats. 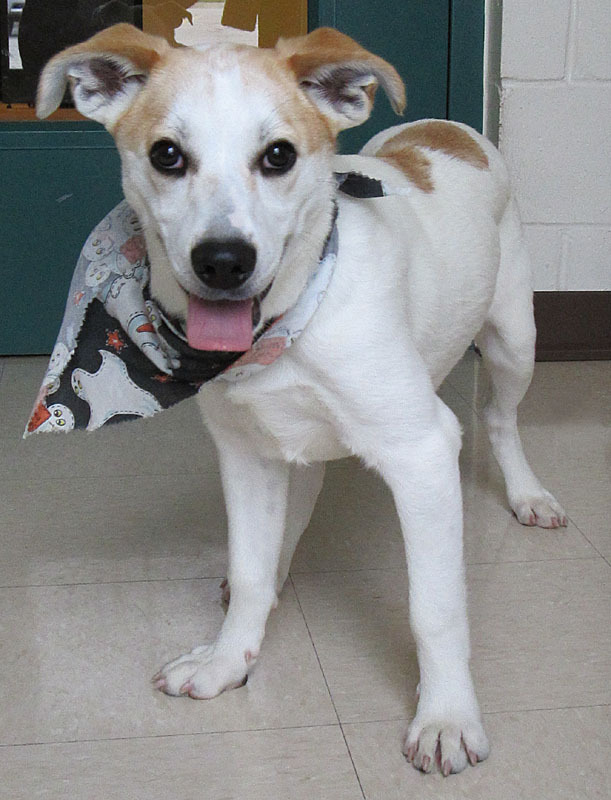 Milwaukee, September 16, 2014: Milwaukee Area Domestic Animal Control Commission (MADACC), Wisconsin’s largest open-admission animal shelter, announced today that adoption fees for all dogs and cats will be waived the weekend of October 4 through 5 during MADACC’s first Empty the Shelter Adoption Weekend. MADACC, which faces constant capacity challenges during the warmer months, is asking the community to help find homes for every adoptable dog and cat that was not reclaimed by their family and is now available for adoption during the two-day special event in an effort to create space for the more than 1,200 lost, unwanted and abandoned dogs expected to enter the shelter’s care throughout the month of October. MADACC is able to hold this event after receiving a $15,000 grant from the ASPCA specifically to be used for an impactful adoption event. These funds will be used to sterilize, vaccinate and microchip around 150 animals so that they will be able to go home the day they are adopted into new families. More than 120 cats and 30 dogs will be available for adoption at MADACC’s two day adoption event. There will be kittens, cats and dogs from 5 months old and up available for potential adopters to choose from. Waived adoption fees include spay/neuter surgery, microchip, and up-to-date vaccines. A $12 license fee will apply for all Milwaukee County residents. Adopters must complete in-person adoption counseling. In order to expedite the process and cut down on wait times, MADACC is encouraging interested adopters to complete a free and non-binding adoption application for pre-approval ahead of the event. You can find the adoption application and more information on their website at www.madacc.org or call 414-649-8640. MADACC currently rescues and assures safe, temporary shelter, veterinary and humane care for nearly 13,000 stray, unwanted, abandoned, mistreated and injured animals each year — more than any other animal control shelter in Wisconsin. MADACCprovides a central location for owners to find and recover their lost pets at 3839 W. Burnham St. in West Milwaukee and is open seven days a week, including evening hours on weekdays. MADACC rescues strays and removes dangerous animals from public areas providing effective animal control services by active enforcement of Wisconsin State Statues pertaining to animal welfare. For more information call (414)649-8640 or visit the MADACC website at www.madacc.org. MADACC is open to the public 7 days a week. MILWAUKEE – The Wisconsin Humane Society’s sound fiscal management practices and commitment to accountability and transparency have earned it a four-star rating from Charity Navigator, America’s largest independent charity evaluator. Of twelve charities in Milwaukee with this distinction, the Wisconsin Humane Society (WHS) achieved the highest numerical score – 96.34 points out of a possible 100. Of 124 charities in Wisconsin evaluated by Charity Navigator, only 34 have a four-star rating. The Wisconsin Humane Society (WHS) is the oldest and largest animal shelter in Wisconsin. It was founded in 1879 and operates shelters in Milwaukee, Ozaukee and Racine Counties. The organization offers adoption services, educational programming, veterinary resources for animals from low-income households, retail stores, volunteer programs and dog training classes. The Milwaukee shelter also houses the state’s largest Wildlife Rehabilitation Center. The organization recently announced plans to open Milwaukee’s first high-volume, low-cost spay/neuter clinic in June 2015. Since 2002, using data-driven analysis, Charity Navigator has awarded only the most fiscally responsible organizations a four-star rating. In 2011, Charity Navigator added a second dimension of Accountability and Transparency (A&T) to its rating methodology, and now reviews 17 governance and ethical practices as well as measures of openness, providing information on its website for each of the charities it evaluates. The A&T metrics, which account for 50 percent of a charity’s overall rating, reveal which charities have “best practices” that minimize the chance of unethical activities and whether they freely share basic information about their organization with their donors and other stakeholders. MILWAUKEE – The Wisconsin Humane Society (WHS) is excited to share that the doors of the Wisconsin Humane Society Spay/Neuter Clinic will open in June 2015. The focus of the clinic will be to provide high-quality, low-cost sterilization surgery to the general public, with a special focus on animals living in underserved areas. The goal for the first year of operation is to perform 6,000 surgeries. Milwaukee is one of the only major metropolitan communities with no high-volume spay/neuter clinic, and there is substantial need for this resource. Dr. Weiss leads a team of six full-time veterinarians at WHS with a combined 80 years of veterinary medicine experience. Their team performed more than 7,000 spay/neuter surgeries for shelter and public animals in 2013. WHS has offered the Spay Neuter Assistance Program (SNAP) for more than a decade, but clients often have to wait several weeks or even months to get an appointment due to high demand and limited staff and surgical space. The organization is looking at existing properties within a six-mile radius of their Milwaukee Campus on 45th & Wisconsin, with good access to the transit system and ample parking. Start-up costs for the project are expected to be between $250,000 and $300,000, which the organization is raising from private, corporate and foundation donors. WHS is being mentored for the project by Humane Alliance’s National Spay/Neuter Response Team (NSNRT), a training program based in North Carolina that helps other organizations learn how to open and operate spay/neuter clinics in their communities. Humane Alliance has mentored about 130 other sites, and those clinics have spayed or neutered 3.8 million animals since 2006. Spaying or neutering cats and dogs reduces animal overpopulation and animal homelessness. It can also reduce some behavior issues and decreases the desire of animals to roam. In addition, altered animals live longer than their unaltered counterparts, and are protected from certain types of cancer. For more information on the WHS Spay/Neuter Clinic, please visit wihumane.org or view the YouTube video athttp://youtu.be/4bsnWvz4C6w. The atrocities surrounding the management of Romania’s overwhelming stray dog population are being tackled through a unique partnership between Guardians of Rescue and NERO – Association for Saving Animals in Romania. According to the city government, a staggering 64,000 stray dogs live on Bucharest’s streets alone. There is a monumental lack of humane education, spay/neuter campaigns and humane shelter policies. The Romanian government has continually managed this stray dog population through a combination of poisoning and brutal bludgeoning. Guardians of Rescue, an animal rescue organization whose mission is to protect the well-being of all animals, has joined forces with national and international advocates to begin managing this global brutality toward companion animals. “It is a tragedy that these faultless animals, whose only crime is being alive, must suffer the consequences of inadequate policies and indifferent and careless humans,” said Robert Misseri, President of Guardians of Rescue International. “For over a year we have protested and worked stateside on the stray dog issue in Romania. With a proper spaying, neutering, and adoption program in place, this situation would not be as dire as it has become. We are proud to partner with NERO, which will be our boots on the ground in Romania. With our mutual compassion and commitment it will be a big step toward the humane treatment for the dogs and cats of Romania,” he says. Develop a stronger stance on spay/neuter and educate the communities on the importance of sterilization. Build a local shelter in Romania to house stray dogs and assist with medical care and management. 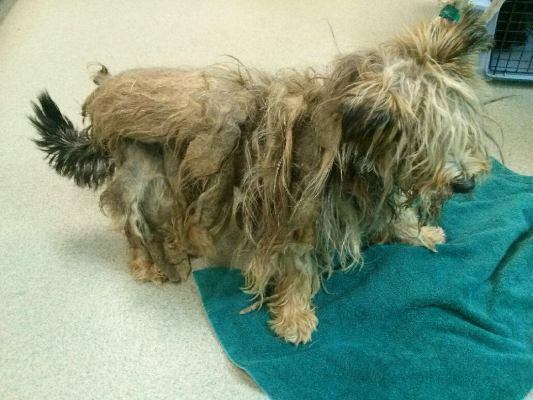 Work with government shelters to implement humane euthanasia practices. Promote public adoptions, outreach programs and humane education and public awareness. For more information visit the site at http://www.guardiansofrescue.org, or on Facebook at http://www.facebook.com/guardiansofrescue. As the world embraces the age of technology, everything is available online—-including the sale of pets. Guardians of Rescue, a nationwide animal rescue organization, has stepped up to protect these poor animals from the cruelty of being bought and sold via the Internet. Guardians of Rescue is working with law enforcement in various states to try to reduce the amount of harm inflicted on these innocent dogs. Overrun Shelters. Certified shelters have millions of animals in need of a good home. Most shelter animals already have their shots and vaccines. These animals come from a reliable source and need a good home too. Sick Puppies. Sadly, many dogs sold online are the product of puppy mills. This means that they are raised in most likely malnourished with no previous veterinary care with a high chance of developing serious health problems later in life. Ridiculous Fees. When purchasing dogs via the Internet, the seller oftentimes inflates the purchase price, adding scam charges such as ‘rehoming fees.’ Shelter fees are almost always significantly less than the purchase price on sites such as Craigslist while providing important information, such as lineage and health forms. No oversight. The exchange of animals through the Internet lacks any form of monitoring or limitations. This allows the sellers to determine their own rules without fear of the law. Greed. The main motivation of sellers putting dogs up for adoption on the Internet is the prospect of gaining money. The health and safety of the dogs is not their top priority, harming both the animal and the potential buyer. The cost can skyrocket with additional fees and no oversight, creating a hazardous environment for all involved. Lucky Dog Animal Rescue (LDAR) was honored to be featured in a Sky News broadcast seen around the world. The story follows the journey of more than 30 dogs from a high kill shelter in South Carolina to Washington DC, where Lucky Dog Animal Rescue finds them loving, forever homes. Daryl, a beautiful black lab mix, was one such lucky dog. Less than 24 hours after arriving from a kill-shelter, Daryl found her forever family at a Lucky Dog adoption event. Each week LDAR receives a transport of animals from shelters in Virginia, West Virginia, North and South Carolina, Puerto Rico and beyond. Every animal is unique and LDAR is committed to not just finding these animals a home – but the right home. When the animals arrive, LDAR’s network of over 1,000 volunteers works tirelessly to find these animals their forever homes. To adopt a Lucky Dog or Cat, to volunteer, or to donate in support of LDAR, visit http://www.luckydoganimalrescue.org. Lucky Dog Animal Rescue is non-profit animal rescue organization dedicated to saving the lives of homeless animals in high-kill shelters and educating the community on responsible pet ownership. Lucky Dog Animal Rescue relies on a network of volunteers and fosters to facilitate adoptions and provide temporary homes for the dogs and cats available for adoption. Most Lucky Dogs are rescued from high-kill shelters in Virginia, West Virginia, North and South Carolina, and Puerto Rico. Once rescued, the Lucky Dogs live in home through the Washington, DC metro area, including Maryland and Virginia. To learn more about Lucky Dog Animal Rescue and to view the animals awaiting their forever-homes, please visit http://www.luckydoganimalrescue.org.